Wire Wizard Welding Products offers WizardGear robot cable management products that provide organization, support and protection for all lines and cables attached to robots, including Fanuc iC series robots. Each cable management kit includes 3/0 or 4/0 PowerBall energy efficient welding cable with consolidated copper lugs. Custom kits may be made for various robot manufacturers. The kits are approved by Fanuc for securing and protecting control cables. 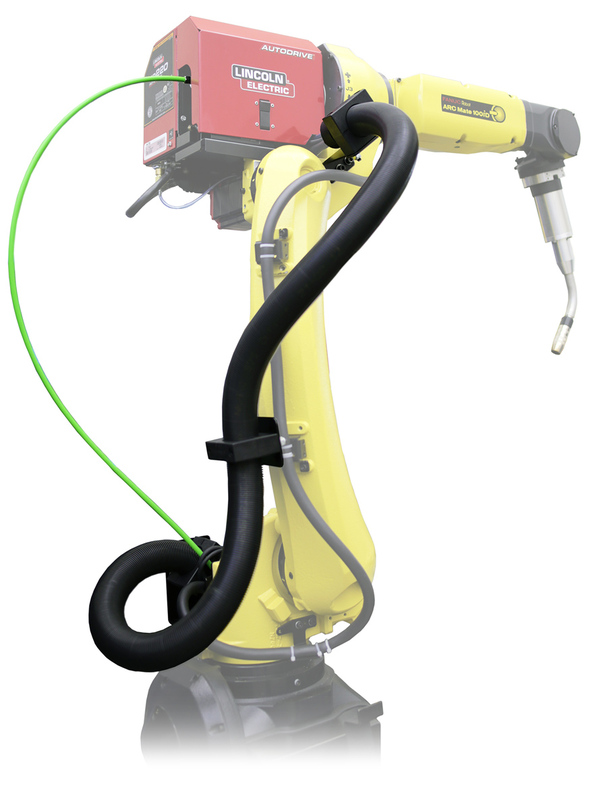 Models are available for welding robots with material handling peripherals.